Hello MarcPe, Thank you so much for taking the time to write a review of your stay with us. We wish you a pleasant winter. Best regards, The Svalbard Hotell Team. Hello Adolphe06, We are happy that you enjoyed your stay with us. Thank you for such a nice review. 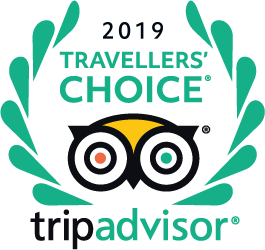 Thank you for choosing Svalbard Hotell. Best wishes from sunny Svalbard. Thank you Paul_K_68200 for giving us a review, we love to hear from our guests! We are very glad you your stay with us, and we hope you get the chance to visit us again. Best wishes from 78 degrees North! Deluxe Double Room: Svalbard Adventure Group information channel on room TV. Deluxe Double Room: Room service menu. Deluxe Double Room: Corridor outside room. The door on the right leads out to the lift and staircase. Deluxe Double Room: Room card with key-code for access. provided by reception. No key or card - you type the 6-digit code into the keypad on your door to unlock your room. (Details blocked out in photo). Deluxe Double Room: Outside room with keypad on door. Hi, how much is norvegian kronas in cash needed? Intend to stay four nights and I assume restaurants and hotels accept cards but what about airport bus, trips etc? Are euros accepted at all? Hola, quería saber si desde el hotel podes conseguir la manera de llegar al aeropuerto, y cómo hay q pagar. Quería saber si se paga con tarjeta o efectivo. Gracias! Hello Ali, You can pay with both cash or card all over the island. Both in the busses and taxies. There will be airport shuttle busses going both to and from the airport with every flight that arrives/departures. Best regards. There is two buses one goes to Radisson and the other does a circle of all hotels, Svalbard hotel was 2nd or 3rd drop off and it's a 70m to the hotel reception. "ici, tout est à quelques minutes à pieds." "comme indiqué dans le commentaire la chambre 30 au 1er et dernier étage, vue sur le fjord"